Thank you to all those who signed the petition online and those who signed the paper version. The Commissioners will forward these to the Governor’s office and will continue to work with all parties to for an agreeable resolution to the issue. Constructed by hand as a reservoir to feed the Delaware & Hudson Canal, the 1000-foot-long dam at Hankins Pond created a reservoirs thatwas once used to propagate trout for the Pleasant Mount State Fish Hatchery. Dubbed a high-hazard dam because of the potential for damage to life and property downstream in the event of a breach, the pond was drained back in 2013. However, engineers at the PA Fish & Boat Commission say the hazard still exists because the remaining dam structure could hold back water and be compromised during a major flood event. The approved plan would demolish about 75 feet of the structure on either side of the existing outlet. Wayne County has long built upon the legacy of the Delaware & Hudson canal and invested in its canal heritage, as have the towns along the route. The destruction of the dam would detract from those efforts. 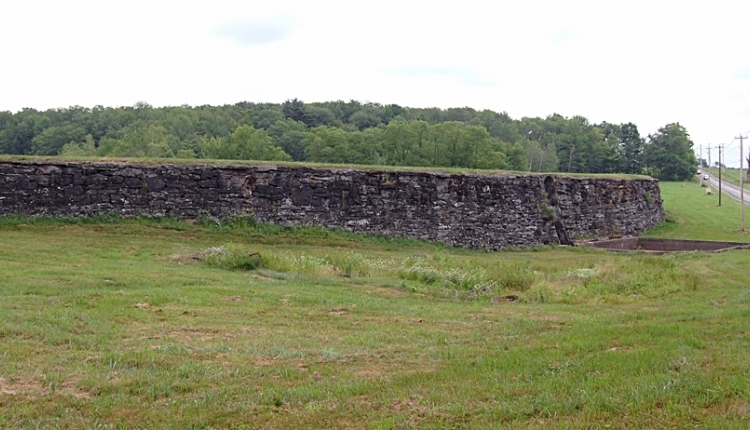 The Wayne County Commissioners would like to see the state create an alternate spillway that would not require the demolition of a 150-foot-long swath of the historic structure, and they need your help. Please sign this petition if you support that effort. Just fill in the required information to the right and press the sign the petition button. We, the undersigned, call on the PA Fish & Boat Commission to explore all avenues to avoid the destruction of the historically-significant Hankins Pond Dam by seeking an alternative spillway or other means to carry run-off during significant flood events and thereby preserve an important piece of our local heritage. The Save the Hankins Pond Dam from Demolition petition to PA Fish & Boat Commission was written by Mikki Uzupes and is in the category Culture at GoPetition.